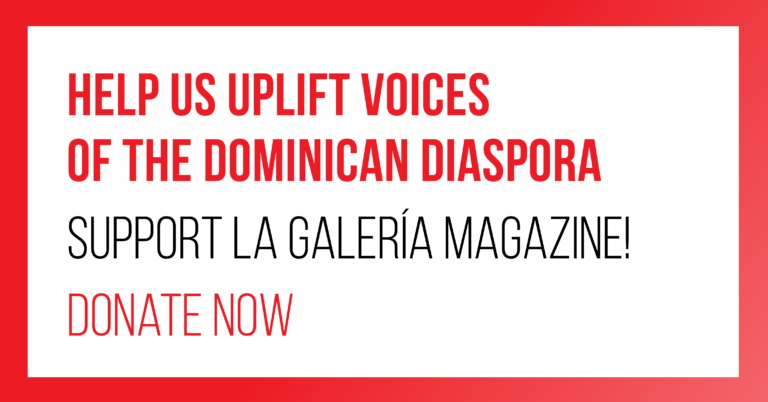 La Galería Magazine provides content that encourages dialogue, celebrates the community, and inspires action among Dominicans of the Diaspora. La Galería Magazine is an independent, non-affiliated publication that discusses, deconstructs, and explores traditional Dominican symbols, ideologies, and customs in order to better understand our community, history, and culture. La Galería Magazine documents and celebrates the stories of the Dominican Diaspora. La Galería Magazine understands that our stories and perceptions are different, and that only through dialogue can we begin to respect and understand one another. La Galería Magazine seeks to build strong ties among the Dominican Diaspora, through projects and spaces that encourage dialogue, celebrate the community, and inspire action. This publication is an incubator for the rapid spurts of consciousness that are occurring to Dominicans outside of the Diaspora. Though the focus is literary work, the name of the magazine wills the facilitation of physical conversations and events branching offline. There is significant diversity in the topics presented; there are common themes of Dominican blackness, contemporary feminism, class, displacement & immigration that are focal to our in-person discussions and events. We do not tolerate racism, classism, or any form of discrimination. 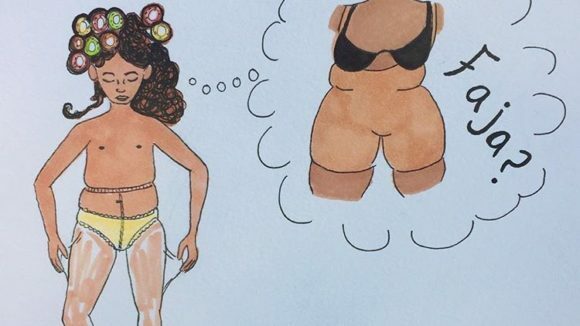 Though our focus is primarily on Dominicans outside of the Diaspora, La Galería Magazine is mindful of the shift in consciousness happening in pockets on the island. We believe in connecting with those efforts as we develop our work here in the United States. This independent publication is organized by a collective that calls themselves a core staff. Much like this manifesto, our publication is an organic entity that is constantly changing, growing and evolving. We believe in making all decisions as a collective; rather than having one central leader, the vision of the project is delegated by skill, time and availability. It is significant that this core staff is all women, given the stronghold machismo has had on Dominican life. This feminine force is receptive and invokes the memory of Anacaona, the Taino cacica (chief) who was one of the highest caciques who ruled the pre-colonial ancestral island. We believe we stand in our power alongside our male counterparts but know it is important for us to take up the space we do as the core. La Galería Magazine is pro-liberation and solidarity in every sense of those words. Through identifying other members of the Dominican Diaspora who are also promoting change, the publication creates ties with various spaces. We believe that uplifting all efforts to shift the narrative in contemporary society about Dominican culture will benefit the whole. As a Pan-Caribbean publication, our literary work may be focused on Dominicans but we stand in solidarity with other organizations and individuals who are coming into this Diasporic consciousness. La Galería is interested in seeing its sister Diasporas blossom. We encourage our comrades of the neighboring islands’ Diasporas to come alive as we have with La Galería. If this calls to you, join us! La mecedora is a staple of every Dominican home with no exception to class, status, or race. Usually placed in la galería, the mecedora provides comfort for the guests, family, and neighbors who meet in this space. Mecedoras are often associated with motherhood, and are not only common in Dominican homes but also call on memories of being soothed and in a place of familiarity. La Galería is the place in which family, neighbors, and guests gather to discuss everything from the latest chisme to social and political issues. It is the place where dialogue and debate are welcomed and encouraged. Similarly to la mecedora, galerías are not exclusive to a particular class; some are built-in, others are an impromptu creation. Special thanks to: La Respuesta, Lydia Ignacio, Joan Encarnación, and all those who believed in La Galería Magazine even when it was only an idea. Looking for Something / Buscas Algo?